In 2017, MAX raised $6 million in funding and expanded our presence beyond Dallas and Los Angeles with new additions to our team in New York, Chicago, Atlanta, and Houston. In total, our full-time team grew from less than 20 people at the beginning of the year to more than 50 people today, including leadership additions with strong backgrounds in music, media, marketing, and tech. We also expanded our nationwide network of talented photographers, videographers, and production specialists to more than 90 people. And it's proving to be effective! In late 2017, we partnered with Millward Brown to conduct a study to test the efficacy of music-focused content aimed at improving a specific audience’s perception of the brand. The study revealed that leading with music not only increases brand sentiment and favorability, but also increases buying behaviors like consideration and purchase intent. Check out highlights below, and read the full summary report. Brett Eldredge worked with Dr Pepper on a national promotion of his hit single “Somethin’ I’m Good At” and ended the year as one of Amazon Music’s Top 10 lyric requests on Alexa. Sarah Dunn, an emerging country artist featured in an Oklahoma Ford program, hit #46 on “Billboard’s Country Indicator” chart over the Summer. At the time she was one of five female artists in the Top 50 on the chart and the only independent artist on the chart in the Top 50. Ennay, a new urban Latin artist in Dallas, worked with Coors Light to promote the first song he ever released. During his co-branded promotion, Ennay’s debut song was added to a target Apple Music playlist. In 2017, MAX created 80 custom videos (brand videos, music videos, live show videos, etc.). In totality, these garnered 18 million targeted views, and more than 34 million total minutes watched. Music fans spent, on average, 1:54 of their time watching videos of their favorite artists. This number is 2.8x higher than the industry benchmark because our brand partners chose to make commercials about artists (rather than asking artists to make commercials about brands). In 2017, MAX programs earned a 15.7% average social media engagement rate, which is 7.8x the industry average. This continues to work across platforms because MAX and our marketing partners exist to empower artists with the resources they need to reach new and existing audiences. MAX gives artists of all sizes access to mainstream audiences through the support of brands with our music promotion model. In 2017, our unique approach to audio (that brings the music to the forefront, rather than the background), delivered 75% higher streaming engagement than typical streaming ads. 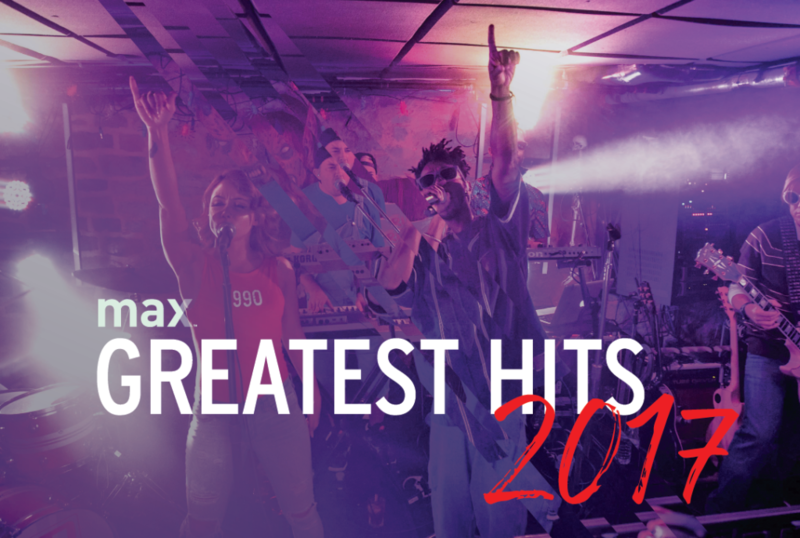 Almost every MAX promotional program ends with a sweepstakes or VIP experience for lucky fans. These range from backstage access to fly-aways to artist meet-and-greets and more. MAX’s CEO & Founder Nathan Hanks detailed his predictions for the music, media, and marketing industries in a popular LinkedIn Pulse post. We recently kicked off a new music event series called "On the Record" -- designed to highlight talented artists and the great music they make. Every month we’ll bring in an artist to the MAX HQ stage to share new music and talk about their careers, songs, and influences. We kicked off the event series with Northern National, longtime friends of MAX. Our next featured artist will be another group of longtime friends of MAX, La Reunion Norteña. MAX will also be returning to the stage at SXSW, participating in the official programming with a sync & licensing panel called Playola: Reckoning With Music’s Newest Kingmaker. George Howard, MAX Co-Founder and Head of Music, will moderate the conversation. We've renewed our membership in Music Business Association, and our Artist Relations team looks forward to meeting new and existing friends at Music Biz in May. We had the pleasure of working with so many different artists, brands, agencies, and publisher partners last year. It was a fantastic year, and we’re looking forward to what 2018 has in store. Keep up with MAX, and join the growing number of CMOs, senior marketers, agency partners, artist managers, and label execs that are keeping up with us year-round by subscribing to our weekly newsletter.